AGUSAN DEL SUR, Jan. 8 (PIA) – The Department of Agrarian Reform (DAR) together with the Agricultural Training Institute (ATI) had recently conducted the orientation on Climate Change with the local farmers held at Farmers Training Center, Municipal Agricultural Office, Esperanza, this province. The increased risks in farming due to global warming had already been embedded in the agricultural industry of Agusan del Sur. The DAR thru the Program Beneficiaries Development Division (PBDD) also oriented the farmers of Esperanza and other municipalities about climate change. The main objectives of the climate change orientation were to give awareness to the farmers and share to them proper mitigation on climate change which the province is now facing. It was learned that farmers from Agusan del Sur are greatly affected by climate change. Low variations of rainfall can easily cause floods in other barangay sections of the province thus to give insights to farmers. Tsokolate (chocolate) - almost everybody love it! Cacao plants or “kakaw” in Visayan dialect is one of the sources of tsokolate which the residents of Barangay Magkiangkang, Bayugan I, Agusan del Sur are growing. The seeds were processed to make “tableya” or tsokolate. In 1990, the residents in the small community were already selling the raw seeds and started making tableya in 2004 upon knowing that they will gain more profit if they sell processed cacao seeds than raw. In the late 1990s, the Department of Agrarian Reform (DAR) covered vast tracks of land in the area making many of the residents as CARP agrarian reform beneficiaries (ARBs). This made the beneficiaries exuberant since the lands they tilled for so many years will now be owned by them. It was in 2006 that the farmer beneficiaries formed and registered their group as a cooperative named Magkiangkang Multi-Purpose Cooperative (MMPC). Their blessings started to blossom then. Assistance and counterparts from the local government, non-government organizations and other partners also started to pour. They provided the coop members the necessary trainings, seminars and workshops including farm tools to enable them to manage with expertise their new business (Tableya production). Through the initiative of DAR and other government partners, they worked-out its license, so the products can be distributed in stores, making it a lucrative business for the coop members. Amidst problems and difficulties, they succeeded and finally got their Foods and Drugs Administration license (formerly BFAD). This made the coop members ecstatic! The Tableya-making venture is a success. Aside from making the lives of the farmers better, the business also help generate employment in their Barangay. The coop hires high school students as tableya molders during their free time. Laborers are also hired from the coop members. It also bought cacao seeds from the farmers in adjoining barangays when there were greater demands of tableya in the market. “Indeed we are so glad that we became beneficiaries-owners of the land we tilled for so many years. It made us work harder to improve our lives,” expressed Benecio Gulay, chairman of MMPC. “Industry is the keyword. If only people use their hands to toil their land, they could always provide foods in their table. They could always give better future for their families,” Charlita Baratas, MMPC Manager beamed. AGUSAN DEL SUR, Jan. 8 (PIA) - The Department of Agrarian Reform (DAR) thru Program Beneficiary Development in cooperation with Food Technology Department (FTD) of Xavier University, Cagayan de Oro City recently conducted the Product Assessment, Product Clinic and Orientation on Hazard Analysis and Critical Control Point (HACCP) and Good Manufacturing Practices (GMP) held at the processing center of Sta. Maria ARB Multi- Purpose Cooperative (STAMERBEMCO) in Sta. Maria, Prosperidad, this province for the sweetened kaong and KAAGAP Multi-Purpose Cooperative (KAAGAPMUCO) of Hubang, San Francisco, Agusan del Sur for its virgin coconut oil products. These activities were under the Up-Valuing of ARB Products of Partnership Development Program. The officers and staff of STAMARBEMCO and KAAGAPMUCO attended the said product development activities. Sylvia T. Aguhob, chair of FTD from Xavier University and Department of Science and Technology (DOST) accredited specialist personally gave lectures and proceeded with the evaluation, assessment, and critiquing during the actual processing of the mentioned products. A final discussion followed at Navarro’s Function Hall, SFADS. The product development serves to assess the products of the above- mentioned cooperatives during production, ensure that the standard operation procedures in the production are being followed and to make sure that the products are suitable for food consumption ready for the market. “This project is very useful for us in the production of our goods because we are able to evaluate and observe the correct procedures in food handling, among others,” Acila A. Coyoca excitedly beamed. Introduction to HACCP was discussed thoroughly emphasizing therein the importance of the hazard analysis and critical control point of every procedure during the actual production. The size, color, appearance, and tastes are the most critical where customers will at a quick, remember a certain product. The overview on GMP was also shared as part of the requirements to the application in Food and Drugs Administration (FDA) for the cooperatives to have license to operate (LTO). This is the greatest achievement that every businessman seeks for. SAN JOSE, Dinagat Islands, Jan. 8 (PIA) - The province of Dinagat Islands was officially declared as rabies-free zone by the Department of Health (DoH) and the Department of Agriculture (DA) during the awarding ceremony held recently at the Pesticide and Fertilizer Authority Conference Hall, Bureau of Animal Industry Compound, Diliman, Quezon City. 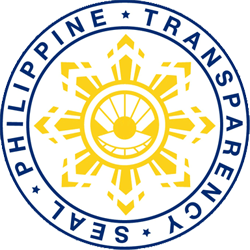 All seven municipalities of the province namely; Basilisa, Cagdianao, Dinagat, Libjo, Loreto, San Jose and Tubajon were also hailed as rabies – free municipalities. Said award and recognition was conferred to the province and the seven municipalities after a thorough and series of evaluation conducted by DA and DOH-National Anti-Rabies Committee for the compliance on the guidelines on the declaration of rabies-free zones. The provincial government since its corporate existence has put public health among its top priorities. Animal health services and programs implemented by the Provincial Veterinary Office made significant results towards eradication of rabies among animals with its massive free anti-rabies annual vaccination for dogs and cats covering the seven municipalities of the province. On the human aspect, the Provincial Health Office along with the Rural Health Units and the three District Hospitals has installed protocol and implemented measures ensuring post-exposure treatment is readily accessible to all animal bite victims for free. Officials from the provincial government headed by vice governor Benglen B. Ecleo together with Sangguniang Panlalawigan board member Joslyn I. Ecleo and provincial veterinarian Dr. Aimee A. Jimeno were present to receive the award. Municipal mayors Allan II B. Ecleo of San Jose, mayor Craig Ecleo of Dinagat and mayor Nena Ladaga Quijano of Loreto personally received their respective plaques of appreciation. The province is the first and the only province in Caraga region to be declared as rabies-free zone while the seven municipalities in the province are amongst the eight rabies free municipalities in Caraga. BUTUAN CITY, Enero 8 (PIA) – Mikabat sa 3,791 ka mga Agusanon ang nahatagan og ayudang medical, tranportasyon, Edukasyon ug uban pang panginahanglan sa mga yanong lumulopyo sa probinsya sa Agusan del Norte pinaagi sa Integrated Social Development Assistance Program (ISDAP). 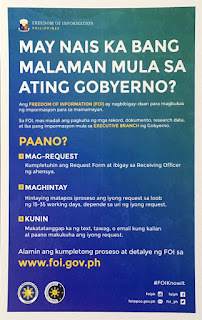 P8 milyones ang orihinal nga badyet alang niini sa tuig 2015, apan tungod kay gusto sa kagamhanan sa probinsya nga makahatag og mapadayonong ayuda sa mga nanginahanglang katawhan, gidungagan kini pinaagi sa 5th Supplemental Budget ug niabot kini sa total nga kantidad nga P14.9M sa tuig 2015. Nakapagawas ang probinsya pinaagi sa Provincial Social Welfare and Development Office og kapin kun kulang P12.5M nga kantidad sa bulan sa Nobyembre 2015. Ang ISDAP usa ka programang pangkatawhan ubos sa liderato ni Gob. Angel Amante-Matba ug Bise Gob. Rambu Bungabong.